Jim Knable's plays have been produced by MCC Theatre, The Woolly Mammoth Theatre, Soho Rep, New Jersey Rep, Playwrights Theatre of New Jersey, Playwrights Project, Phoenix Theatre of Indianapolis, The Hangar Theatre, Actor's Express in Atlanta, Half Moon Theatre, NYU, Yale University and New York's Summer Play Festival 2006. 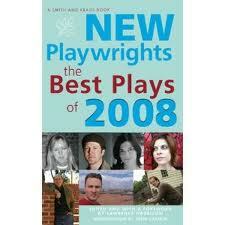 They have been published by Broadway Play Publishing, Playscripts and included in Smith and Kraus' Best New Plays 2008. "Knable is an imaginative dramatist with a supple talent for the bizarre. ."